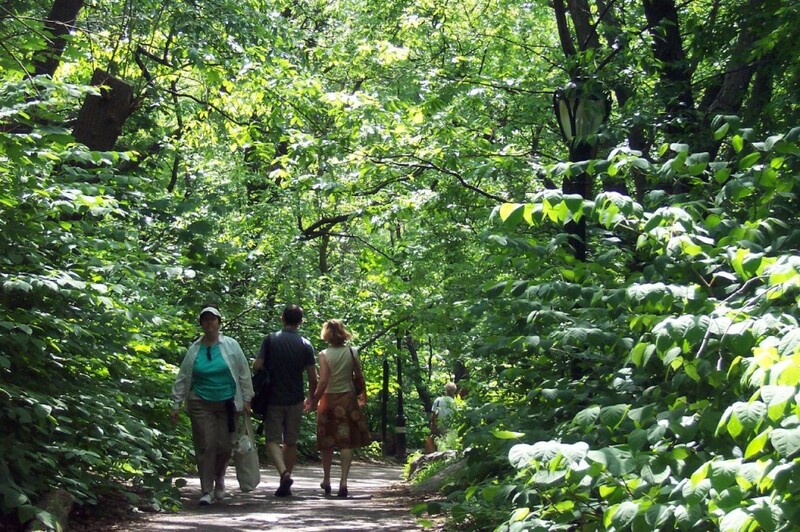 Join SWINY for an exclusive opportunity: A private, guided early evening tour in Central Park! Image courtesy Flickr user baslow. Last year’s memorable evening tour, customized by Central Park for SWINY, earned rave reviews from all the attendees. Normally, Central Park’s outstanding tours, led by well-trained volunteers, are offered only in the daytime. Fortunately, SWINY has been able to arrange a 2013 evening program, led by the very knowledgeable guide who awed last year’s group. This year’s walk is “Amble Through The Ramble,” an exploration of a verdant, uncrowded, wildly beautiful area. We’ll go across streams, under arches, and through the woods on a maze of pathways in 38 secluded forest-like acres that comprise the beautiful Ramble. Even if you’ve been to the Ramble, you’re bound to learn more than you knew before about its flora, fauna and unsuspected factoids. If you haven’t Rambled before, you won’t believe you’re in the middle of New York City. Questions are welcome throughout the tour. So take a break from your research and writing to start your summer with a very special after-hours experience. And bring along family and friends for a truly unique, richly informative outdoor evening! NOTE: Attendance is strictly limited to the first 20 people who register. The convenient mid-Park meeting site will be provided after you sign up.